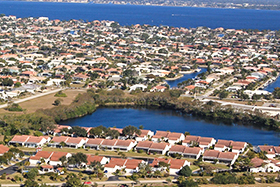 Paradise Garden Villas is located at 1780-1890 Deborah Drive in Punta Gorda Isles, Florida.The community was founded in two phases in 1988 and 1989.It has a total of 45 units of 2600 square feet, including lanai.Each unit has a large two car garage and courtyard.Community includes two pools, a clubhouse, and boat docks.Each unit has a water view. Our association is an active group with committees and volunteers who devote their time for the betterment of the community.Monthly activities and special events are scheduled throughout the year. 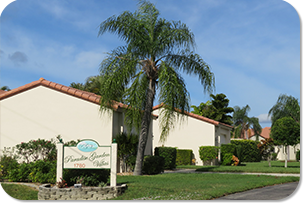 Check our Amenities page for pictures of our community and events.If you need more information, click on Contact Us tab.